You finally have some semblance of a plan for your next big corporate event. The venue is nailed down, speakers are signed on, vendors are booked, things are actually falling into place with minimal hiccups. That is no small feat, so congrats. But now you’re probably wondering: How do you get potential attendees to understand just how much they need this event in their lives? And more than that, how do you get them excited about it? Below are ways to create that ideal buzzworthy event in no time. Boost interest by using every social media channel you can find. Posting frequently (without overdoing) it will make your followers invested before they even realize what’s happening. Drop hints and teasers about what’s in store for event attendees via these channels. Plus, if you really want to make some noise, offer a contest closer to the event. Free registration upon successfully answering event-related questions on Twitter always seals the deal. Enlist your army of advocates. Social proof is a key step. Ask event speakers and past attendees to promote the event on their own social accounts and provide quotables as a kind of event testimonial for you to use everywhere. And we mean everywhere. Squeeze every last drop from that word-of-mouth principle, friends. Make it a little more democratic. Increase event engagement from potential attendees by handing them some of the decision-making power. You probably have decision fatigue at this point anyway and it really does bolster crowd involvement. SXSW does this with its “panel picker” by turning over 30% of the program to the people. Creating online polls where people can vote at their convenience is another great way to accomplish this. Remind your audience that it’s easy to miss this opportunity by waiting around. Whether you tweet about a limited number of tickets, how the event sold out quickly last year, that there are only a few seats remaining, etc., you can get the scarcity message across without sounding like the sky is falling or being too gimmicky about it. Remember that the little extras make a huge difference. Land on an event hashtag that is short and simple. Check Twitter to make sure it’s not already being used for something completely different and get a few opinions first. Build in some room in the event budget for promo videos and day-of live streaming capabilities. Posting giveaways or countdowns can also give your event a big lift. Provide a platform with unique value. Whether it’s information your target audience can’t get elsewhere, use of a strange yet innovative venue, or a portion of the proceeds going to good causes, make your event stand out from the crowd in some impactful way. The more interactive you make your event, the better. Adding distinctive, attention-grabbing features like a 3D photo booth will accomplish exactly what you’re looking for. Your event doesn’t start on the set date. It starts now. Make it count by applying the most successful tactics for engaging your target audience. 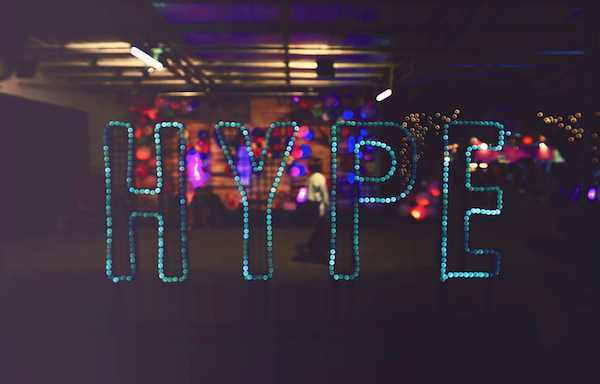 Use these hype-building tips in combination with experiential marketing tools and you’ll be good to go. Consider Pixperience your hype-building event partner. We provide the most updated and most effective experiential marketing resources. Take a look at our services or talk to us to find out more, whether you need 360 degree photo booths, green screens or custom video and photo pages. Best of luck with your next event. It will go off without a hitch. Unless of course, your next event is a trailer hitch trade show. In which case, all of the hitches will be there.